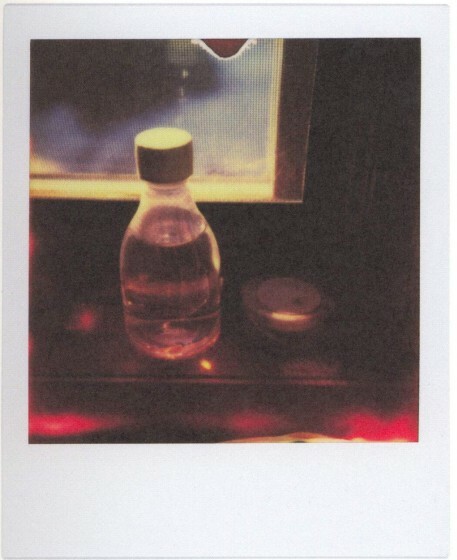 A Review of David Sylvian’s Glowing Enigmas Polaroid Exhibition Catalog. As a musician, David Sylvian has certainly been around the block a few times: he can now look back on a 30 year solo career, and that is not counting his time as a frontman for the group Japan. Besides music, Sylvian has worked in a series of art forms: be it installations, video works (1985’s Steel Cathedrals), and photography. In 1984, he published a book entitled “Perspectives” which featured his then recent Polaroid works – or rather, collages made from Polaroids. Over the years he kept posting photos of his on his web site – having gone digital, he snapped everyday objects and scenery, quiet reflections on his life and environment. 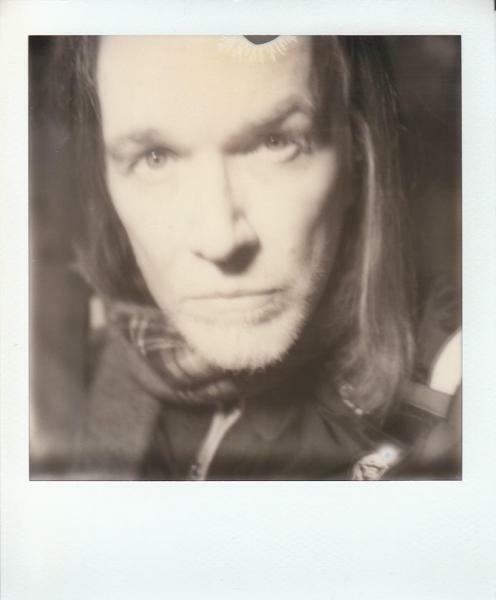 In April of this year, Sylvian returned to Polaroids. 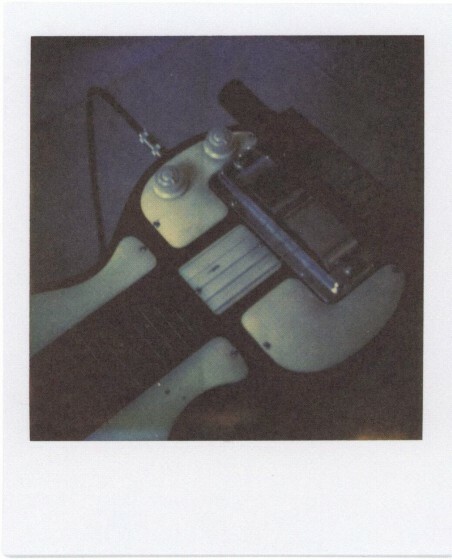 In cooperation with the Impossible Project (the project which brought Polaroid photography back to life after the demise of the company Polaroid), he exhibited his new work in a gallery in Tokyo, in a show which was entitled Glowing Enigmas. I have not seen the show, but I recently acquired the catalog for the exhibition from the Impossible Project web site. Glowing Enigmas presents itself much like Sylvian’s recent music: brooding, experimental, a celebration of imperfection which at the same time opens the senses to the beauty at the core of this imperfection. Of the 55 photos represented here, there are a few self portraits, a couple of portraits of other people, a few nature shots; but the heart of the collection is the representation of small objects – statuettes, photographs, bottles, flowers etc. – which give the collection a very intimate, even personal feel. Most images (both in black and white and in colour) use darker tones, low light and are often out of focus, giving the everyday objects a sense of the magical and mysterious, i.e. enigmatic. Many photos play with light: light falling through glass, shadow plays, reflections on surfaces etc., enhancing the magic quality of the images and underlining the artistic approach to the taking of the photographs. The book itself is printed on heavy white paper and comes in an unusual slim format. It presents the 55 photos in its original size. Some pages are fold-outs, when opened, they present triptychs of related images. So in short, Glowing Enigmas reflects an artist’s very personal yet enigmatic look at his world though a collection of unique, original and artistic photographs. Glowing Enigmas Exhibition Catalog. Limited edition catalogue for the glowing enigmas exhibition by David Sylvian. Limited to 1000 copies, printed on heavy, high quality paper. 55 black and white and colour reproductions of instant originals. Price: €25. All photos shown in this article are copyright David Sylvian. 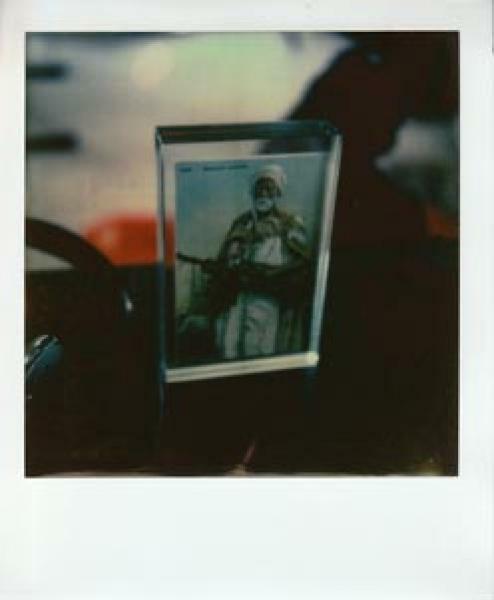 They and others are featured in the catalog entry of the Impossible Project shop.